The Museum of Fine Arts, Houston, and Asia Society, New York, offer an unprecedented exhibition of art from ancient Viet Nam—the first U.S. exhibition to address in depth the historical, geographic and cultural contexts of precolonial Vietnamese art. 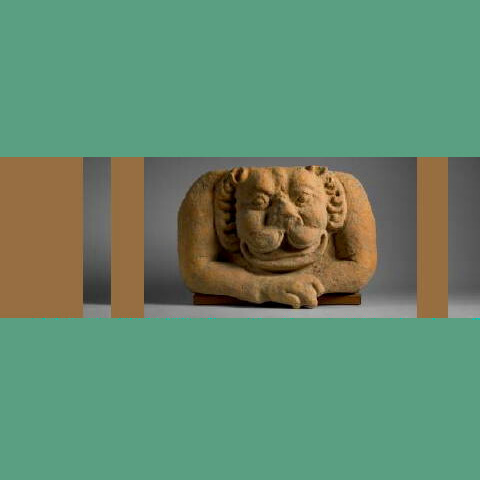 Arts of Ancient Viet Nam: From River Plain to Open Sea will expose approximately 110 objects dating from the first millennium B.C. through the 17th century, on loan from Viet Nam´s leading museums. Highlights of the exhibition include ritual bronzes, terracotta burial wares, fine gold jewelry, Hindu and Buddhist sculptures, and ornaments of jade, lapis lazuli, crystal and carnelian. The works have never before been exhibited. The exhibition runs 13 September 2009 to 2 January 2010, and afterwards travels to the Asia Society in New York. While we wait for September, let’s all read the book behind the exhibition, by its chief curator Nancy Tingley, with Andreas Reinecke, Pierre-Yves Manguin, Kerry Nguyen-Long and Nguyen Dinh Chien (in stock at amazon.com now). Tingley is an independent scholar who was previously Wattis Curator of Southeast Asian Art at the Asian Art Museum of San Francisco. Reinecke, a leading scholar of Vietnamese archaeology is with the Kommission fur Allgemeine und Vergleichende Archaologie des Deutschen Archaologischen Instituts, Bonn, Germany. Manguin is Professor at the Ecole Francaise d’Extreme-Orient, Paris. Nguyen-Long is an independent scholar of Asian art. And Dinh Chien is Chief Curator of the National Museum of Vietnamese History, Hanoi.